make it easier for teams to store, search, and access important files, especially as team members change over time. To improve collaboration in Team Drives, we’re adding the ability to email all the members of a Team Drive. For more information on Team Drives, see how to manage Team Drives. For information on user permissions in Team Drives, see our Learning Center article on Team Drives. Available to all G Suite editions. Team Drives is available on G Suite Enterprise, G Suite Business, and G Suite for Education editions. G Suite Basic users can’t create Team Drives, but can use the feature if they have access to a Team Drive. Team Drives make it easier for teams to store, search, and access important files, especially as team members change over time. 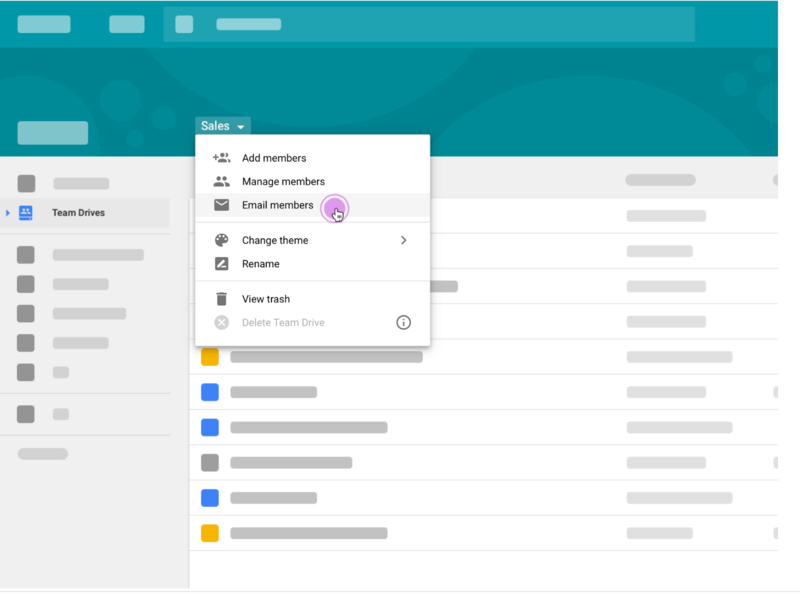 To improve collaboration in Team Drives, we’re adding the ability to email all the members of a Team Drive.